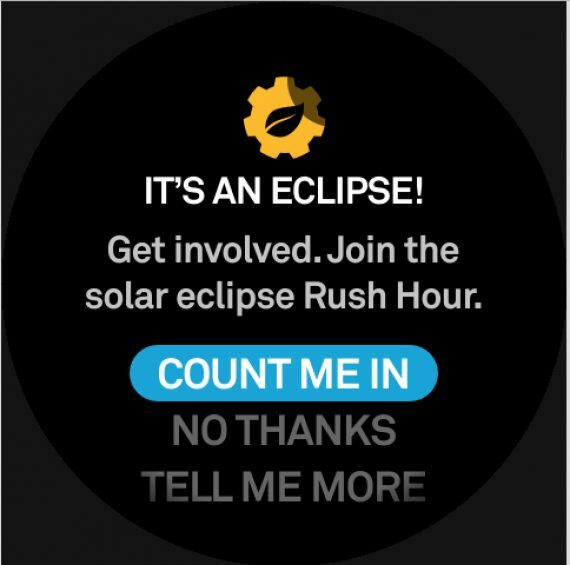 Nest thermostat users were invited to take part in an initiative that would champion clean energy during a critical moment – when the path of the eclipse would darken over 100 million solar panels, creating a temporary dip in the clean energy supply. And they were invited to participate directly from the screen of their Nest thermostat. They tapped “Count me in” to opt-in right from there, as well. Their thermostat got to work pre-cooling their homes in advance. Nest thermostats have long been heralded for their innovation, on this day they were also able to make championing clean energy, a simple and easy choice. As the eclipse traversed the United States, solar energy production dropped by thousands of megawatts. That’s when the initiative kicked in. Nest thermostats began syncing energy consumption with the eclipse’s path, using less energy when the grid needed it most.